When was the last time you got something right the very first time? For me, and I expect most people, it’s an extremely rare event. Often, the simplest of misses can come back to haunt you – or they can be a great source of what I like to call that “duh moment” in product development. “Duh moments” don’t just provide some strong insights about your users. They also give you a heightened sense of empathy for them and help you realize that you don’t know them as well as you might think you do. One of the best “duh moments” I’ve had here at SMART occurred right after I started. It illustrates the value - and the necessity - of prototyping an idea and then testing it with users. It reinforces the fact that as product designers and developers we are not our users. And it’s a great example of why empathy is so important in what we do. This innocent-looking image is one of several very simple prototypes we had put together quickly to evaluate a series of interactive activities we were creating. 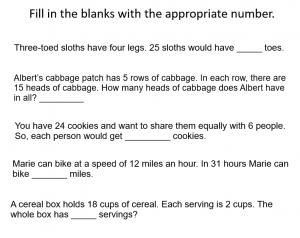 This one happens to be a fill in the blank activity. Our small team got together and worked out several activities and how students would interact with them. We created prototypes for 7th grade Spanish and 4th grade math (the example above). 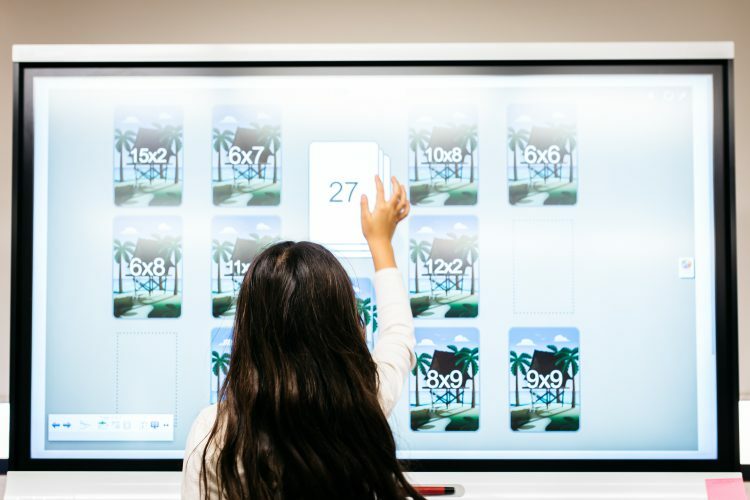 The product we were creating would be available on a large, interactive SMART Board at the front of the room and would allow multiple students to work on a problem simultaneously. We were pretty focused on how the students would actually fill in the blanks: what they would do if they got something wrong, how we wanted to help them celebrate when they got something right, etc., all on a touch display. We used real examples of problems from real teachers and classrooms. Have you caught what we missed? On a large monitor with multiple students, there was not enough room for them to work out the problem (and so they wrote all over everything). It was one of those humbling moments we designers love, despite the ego hit, because it helps us really understand our users’ struggles and see them first hand. This is also a good example of why we don’t just ask users what they want. We did. The teachers wanted a range of ways to customize the problem, automatic data reporting, and several other things. The students wanted more visuals, sounds, and animation. No one asked for more space. Some of their “wants” are good ideas, and by doing research in the actual classrooms we saw which ones were really needs, and which ones were “nice to haves.” But we got the most important insights, like the need for space to work on problems, by actually watching the students and teachers in action. At SMART, we put our users first and we relentlessly test everything that we create. We worry if we don’t find something unexpected (what did we miss?). This is a key part of user-centered design and getting products right. And we discover our “duh moments” before we ever write code. Companies that don’t do this will still have those “duh moments” too. They are just far more painful, and expensive, after a product launches. Like many things, I learned that the hard way and it’s a source of inspiration now. Just like our teachers and students. This is the second in a series of posts from Andy Cargile, Senior Director, User Experience at SMART. Andy leads a team of user experience designers and researchers who spend hundreds of hours in classrooms every year, delving into teaching, learning, and how technology can enhance them. In this series, Andy shares some of the key insights his team has uncovered, and what they mean for education, and for SMART. Find his first post about making learning fun here, and second, about ethnographic research, here.